We take you and your time seriously - and with that in mind, we have built a platform that takes the work and hassle out of buying pre-owned valuables. Once you join, you will have access to a quality selection of pre-owned jewelry, watches, diamonds, and gemstones. The process of joining the buyer network is quite simple and everything that follows is that much easier. Just let us know what interests you, and we'll start inviting you to auctions for the items you want. Got approved to Worthy’s exclusive buyers Network? You will get immediate access to live auctions that typically run for 5 days. manager who will be at your service for any related inquiry. 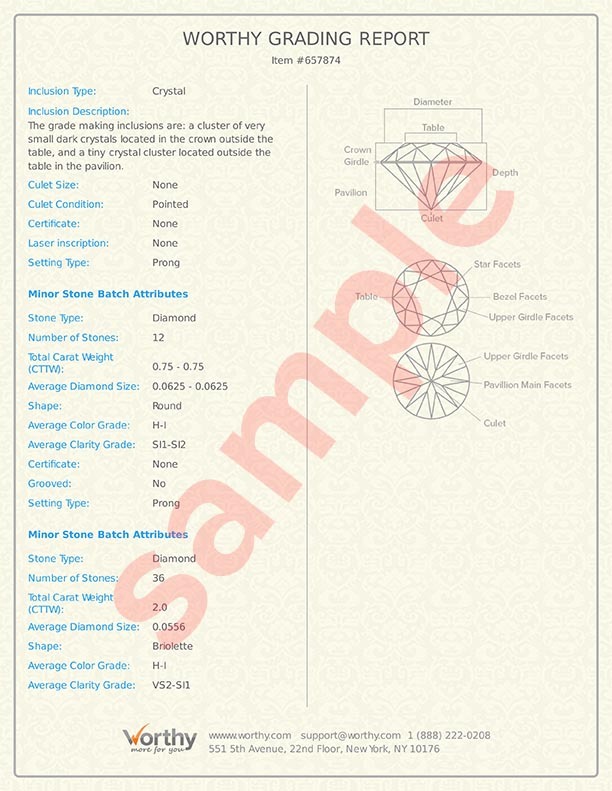 high-resolution images and a detailed authentication and grading report , bringing you as close as possible to physically inspecting the item yourself. All descriptions provided are composed by our GIA-certified appraisers and watch experts after a thorough physical evaluation. The descriptions you see are so detailed and accurate, that we are confident enough to *guarantee them. See an item that suits you? Place a bid with confidence. No matter where you are, or what device you are using you can place a bid with a push of a button. The auction is silent, but once the auction ends the system will notify you if you won or lost and what was the winning bid. *It is important to remember that all descriptions are guaranteed, and therefore, all bids are binding. the US, the item will be shipped to you free with full insurance coverage. Joining and participating in the Worthy Buyer Network is entirely FREE. Fees will be reflected as deduction from your offer, not any additional payment. *Additional buyer fees apply when the offer exceeds the seller’s reserve price. Worthy Description Guarantee: If you find that an item you have won is significantly different from the description from which you based your bid, you will be able to request a full refund and return the item to us. High Volume of Valuables, Professional Handling and No risk!